Oregon Woman Rose Marie Bentley Had Organs on Wrong Side of Body, yet Lives Until 99 Rose Marie Bentley's abdominal organs, including liver and stomach, were positioned right to left. A woman from Oregon in the United States was born with her organs on the wrong side of her body. 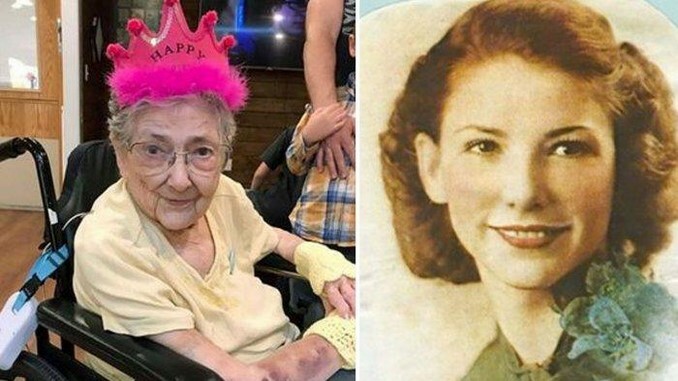 Amazingly, she had a normal life and lived until 99 years. Rose Marie Bentley had no knowledge of it and didn’t have any chronic medical problems apart from arthritis. Her condition was brought to by students in an anatomy class who got to have a closer look at her body, which she serendipitously donated to medical science. They found out that her organs were not placed right. Strangely, in spite of having multiple surgeries, doctors were not able to identify her condition. According to doctors who examined her corpse, Rose had situs inversus. Her abdominal organs, including liver and stomach, were positioned right to left. She also had levocardia, in which her heart was positioned on the normal (left) side of the body. According to BBC reports, it all started when the anatomy students failed to locate a major blood vessel. It triggered a cascade effect, as they discovered that many of her organs were not where they should have been and that’s when they realized Rose’s is a unique case. Both Rose and her husband had donated their bodies to the Oregon Health and Science University body donation programme. Her family told BBC that the couple was inspired after they read a poem by Robert Noel Test. Please note that this is a BETA version of the ukwishesh website which is still undergoing final testing before its official release.